What is the biggest challenge for Android docking station manufacturers today? To make a dock that fits any or at least most Android smartphones. As mentioned in this article there are many different Android smartphones from various companies which each has a micro USB port in a different location of the phone and the Micro USB connector doesn’t support bi-directional connection as the Lightning connector, so docking station manufacturers must come up with a docking mechanism that suits all of these devices. However, there are two technologies just around the corner that will certainly change our charging habits – Type C USB connector and Wireless charging. 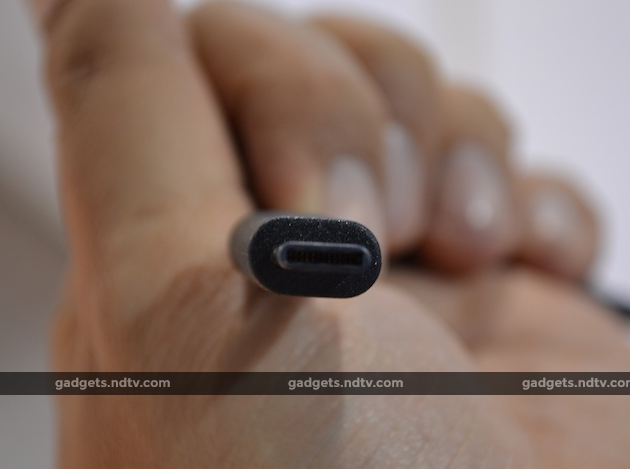 The new type of USB connector that was presented at CES2015 is the USB Type-C. This new connector will change most of your USB chargers in a few years, and we’re going to see the first smartphones, tablets, laptops and other gadgets taking advantage of Type-C USB in this year. Type-C USB connector will possibly come with the new USB 3.1 standard (although it will still be compatible with older USB standards) that will allow two times faster data transfers, competing with the speed of Apple’s Thunderbolt connector. Also it is going be able to handle much higher currents and will replace not only charging and data cables of smaller portable devices like smartphones and tablets, but also laptops. But regarding Android docking stations we’re more interested in another aspect of the new USB connector – reversible plug. Reversible plugin means that USB plug can be connected in any direction, same as Lightning connector. This will allow you to connect your device to a charger or a docking station faster, not worrying about the right direction as with micro USB connectors. Also, docking station manufacturers won’t have to make USB plugs with 360 rotatable designs to fit different USB socket orientations of Android devices. We may not see the Type-C USB port on most smartphones of 2015, however it will surely be the standard for all phones and tablets in the future. When the largest Android smartphone manufacturers will launch their new smartphone models with Type-C USB sockets we will certainly see the first Android docking station that will support this new Type-C USB connector. Wireless charging technology is still in its development stage and few of the main companies in the field are coming up with more powerful, more efficient technologies that work in larger ranges to improve wireless charging options. 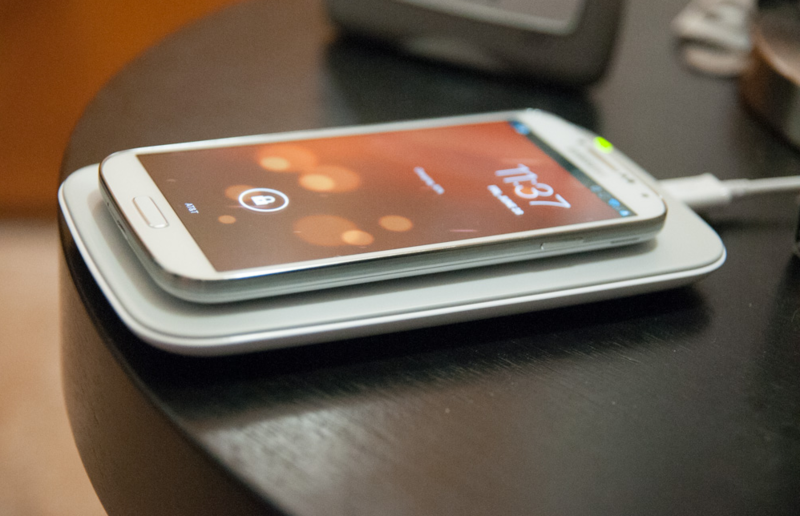 Wireless charging is currently supported by few Android smartphone manufacturers like Samsung, LG and Google, who have implemented the technology in their high end smartphones. However, in opposite to the new Type-C USB connector which we are definitely going to see implemented in the newest smartphones this year, wireless charging is still few years away in the future. Generally speaking, wireless charging will not replace wired charging with cables until the technology has become more convenient to use, faster, accessible and proves to be better than charging cables we use today. The most popular wireless charging standard currently is Qi made by Wireless Power Consortium, it’s used in LG and Samsung high end devices. Based on the research by Android Authority their wireless charging technology works best when a device is lined up closely with the wireless charger and allows charging just one device at a time. Other two of the largest groups – Alliance for Wireless Power and Power Matters Alliance will combine together to develop a better wireless charging standard that will compete against Qi standard. Alliance for Wireless Power has worked on standard called Rezence. When compared to Qi, it does not provide so much power and charges devices slower, but it is able to charge multiple devices simultaneously. The merging of these two large organizations may help to improve current wireless charging technologies and develop some newer standards that might give the wireless charging a boost it needs to completely replace wired chargers. However, it is still unclear when wireless charging is going to mature to such stage, to get approved by all smartphone manufacturers and by smartphone users. But when it does, it will change the docking station market a lot. There won’t be a need for manufacturer or model specific docking stations as wireless technology most probably will be supported by iOS, Android, Microsoft Phone and products by other companies. Until then, we have to accept the inconveniences of current charging methods of Android devices and look for the smartphones and tablets that will support the new Type-C USB connector later in 2015.